Perhaps the greatest love letter to the Final Fantasy series came from within the walls of Square Enix itself. Featuring the protagonists and antagonists of the first ten games, this title brought them together in a universe-melding fashion. Two warring gods summon these individuals to do their bidding, which plays out in a cross between the fighting and RPG genres. I’ve yet to play it myself, but I’ve heard tell of Tridrakious spending upwards of 100 hours with it, so the game has to have considerable depth. Another game I’ve got to get around to. Too bad it lacks much content from Final Fantasy XII though. 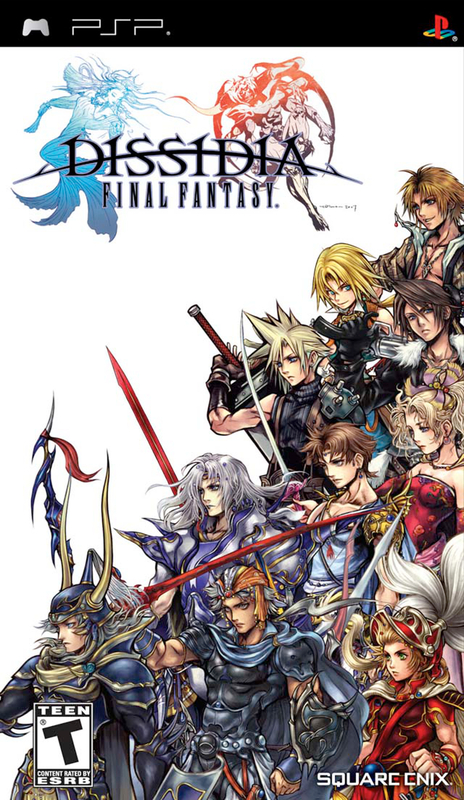 Dissidia Final Fantasy was originally released for the PlayStation Portable in Japan on December 18, 2008, in North America nearly a full year later on August 25, 2009, and another month later in Europe – September 4, 2009. It was developed and published by Square Enix. I picked it up from All Your Base in Broken Arrow, not too long after the shop had moved into PJ Gamers.